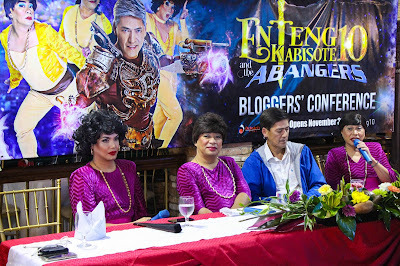 Before Enteng 10 opens November 30 in theaters nationwide, the cast participated in a Bloggers' Conference to answer questions from the bloggers. Vic Sotto was accompanied by the kabarkads Jose, Wally and Paolo and they first tackled how surprised they were when they found out their movie isn't going to be included in the MMFF lineup this year. Bossing did say that the kids will have an early Christmas this year when they catch their movie in theaters on Wednesday. In one of the best questions of the night, Paolo Ballesteros was asked what he thought when one of his movies got included in the MMFF lineup and one didn't. I got impressed by his answer when he said he gave the same effort in both movies which prompted Vic with the best joke of the night, "Indie ka eh. Indie mo naintindihan." The actors had a great time when an English speaking blogger asked them a question and they were forced to speak in English. Sotto pretended to have a nose bleed, Wally started his answer in English but ended in Tagalog, Jose simply said, "What a wonderful question. Next question please." and Paolo said, "Like what he said." 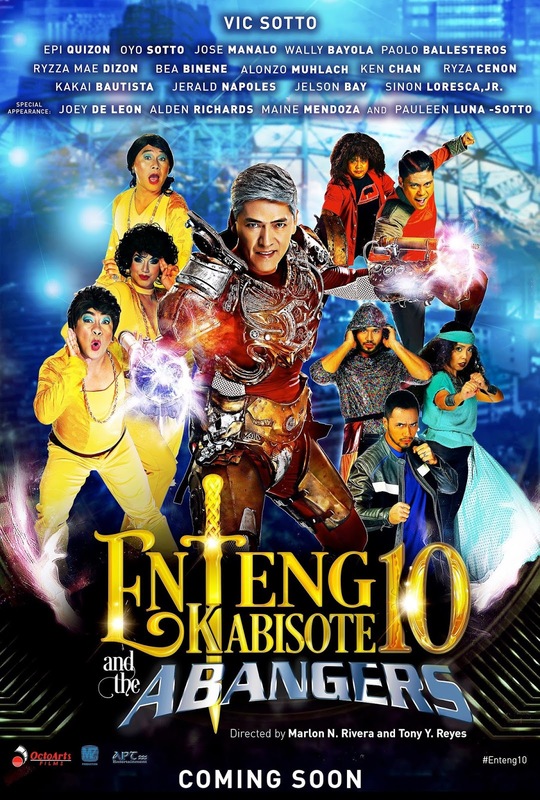 In Enteng 10, Enteng enlists the help of the Abanagers in defeating the villainous Kwak-kwak who has the power to control the mind of anyone who plays a virtual reality game. 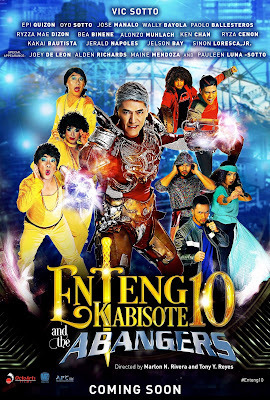 Sotto praised Epi Quizon who was the one who played Kwak-kwak, saying he is a very good actor and they ended in good terms when they work together before.